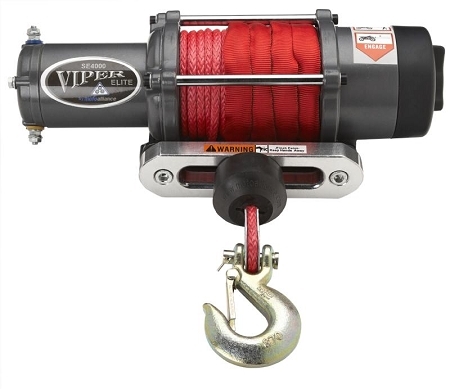 Viper Elite Wide Spool Winch - the Absolute TOP OF THE LINE UTV Winch! The Viper Elite Wide Spool ATV / UTV / SxS winch is the top of the line design with whisper quiet, metal gears, easy to use AmSteel®-Blue Synthetic cable, and the ultra flexible wireless remote switch - along with all the other upgrades. Note - the Universal mount plate included will only mount to a flat surface or to a "winch ready" UTV. We have many custom mount plates designed to bolt on to your ATV / UTV / SxS.